My neighborhood is quite happening with diner and potluck plans (with/without any occasion)on, thus turning any day into a halcyon day. I am an active participant but not really a planner. 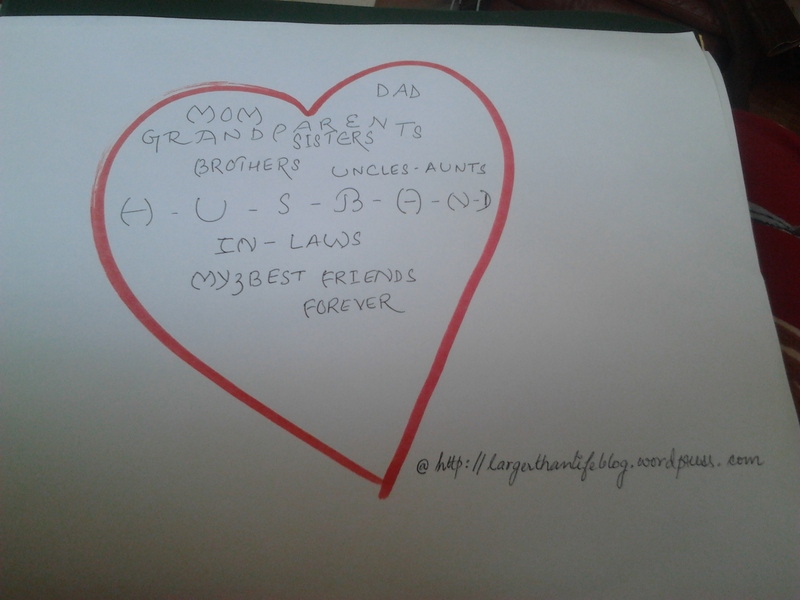 While others plan, and if I am not reading, I prefer playing with my two 5 year old playmates -R’n’B (that is how I address them with the first alphabet of their first names). We play air hockey, watch Tom and Jerry or Transformers, Oscar’s Oasis and so on together. We also love running around the lawn playing picnic and fishing games. I was hosting this farewell dinner for R and family, two days before their moving out. Lots of cooking, chat, and eating went on. I could not really play that day as I was busy preparing diner. R was getting kind of bored until he discovered some stationeries and got occupied scribbling. The party went on, amidst which, I went on to pull out some soda cans from my refrigerator. Something was unusual and my eyes ran carefully through the fridge magnets trying to figure out the difference. And there it was. 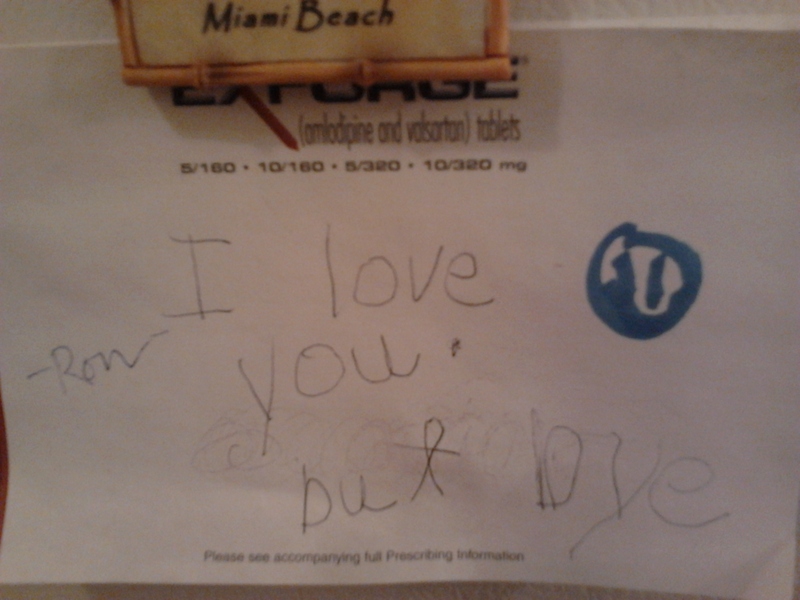 I found a stick note on my fridge that read,” I love you but bye.” I knew I was going to miss one of my playmates-R and kept uttering that on and off. But he never uttered until that day. A flow of emotions ran as I was waving them good-bye two days later. And everyday since then, the stick note reminds me how much I am loved. Despite our daily hours of conversation, here I am- writing to you.You are a mother and you have the gifted instinct of knowing me (your child) better than I do. But here are certain things that I feel, I know and I am sure of. Those certain things that I never uttered to you. Remember how I use to flaunt my themed scrapbooks amidst my friends and they wondered if they could ever own one? those vibrant scrapbooks and their themes were your brainchild. They were undoubtedly the best. 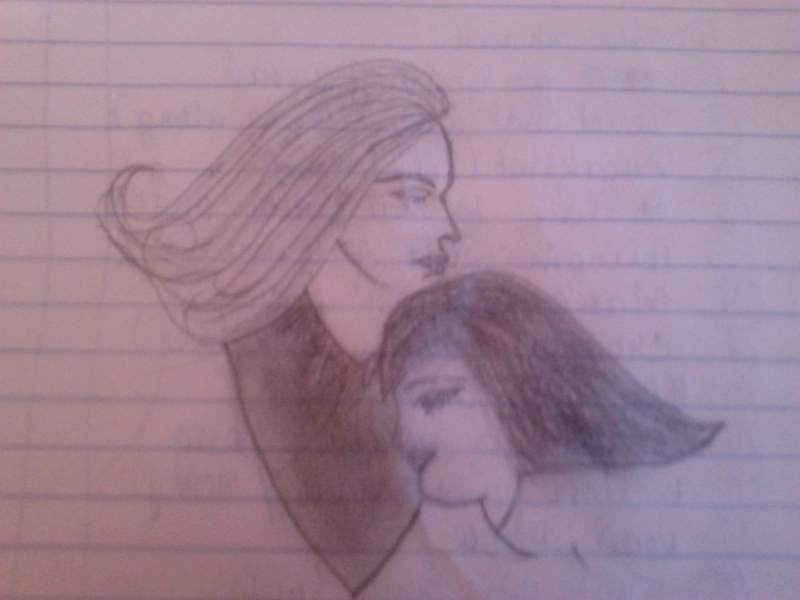 …..didn’t you ever feel you could have used your artistic skills to reach out the world beyond your children’s ? And until I was old enough to explore the shopping malls and designer stores independently (and even after I could), you designed and stitched me those fabulous dresses that earned me compliments from all over. At that moment, I felt like Miss Universe (in my world).You even did my bridal veil that caught everyone’s eye ….didn’t you ever feel designing for the celebrities could have been an option for you? When you chose to accompany me to the mall (that remains open all 7 days a week) and choose my outfit for my high school farewell party that wasn’t due until another thirty days……..didn’t you realize that was the last day of your favorite art exhibition and you won’t get to attend that until next year? But you happily chose to be our (we are two sisters) mother over and above everything. You ensured we never miss our classes for music and swimming. You loved reading but spent hours to choose books for us to develop our reading habits. I wasn’t just anyone but your not-so-girly daughter who never cared to pick up any kind of make-up ideas. But you got me one of the best make-up artists for my wedding and turned everyone speechless when they saw me as the bride. I am grown enough and married now. But you still find ways to know if I am eating too much (like I always did), keeping awake until late (and reading like I always did). And yes! your son-in-law (who is also my husband), does update me each time you call him up to find if I am still homesick and whether I remain quite if (and when) I miss everyone including you. Remember the elderly relative (from my in-laws’ extended family) who stayed with us for a fortnight sometimes back? She said she didn’t feel like leaving and is definitely going to meet the mother of that daughter , with whom she had a wonderful time. Yes, I am certainly the most proud daughter on this earth. I am writing to you to express those certain things I know, I feel, but can never speak. I did these sketches for you despite the fact that a kindergarten student would draw anyway better than I can. I can only wish to, but cannot be what you are. Just wanted to tell you and everyone (who knows me and who does not), that even today, you hold my hand with equal care…..just like you did when I was a toddler.